I'm sharing again our pictures in our camp meeting fellowship but this time I'm featuring the ministers during the service and before we left the camp. I like their smiles at the second pic especially our dear Pastor Ed (in blue shirt at the back). The four-day stay at the camp made us closer together and it showed here! I have other entry of the sisters' pic at the camp in my other blog! Hi Race! I think this is my first time here. Another wonderful site huh?! 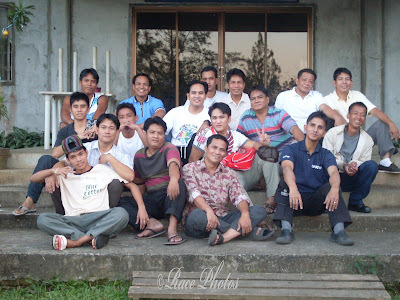 Ang saya naman ng camp meeting fellowship nyo! 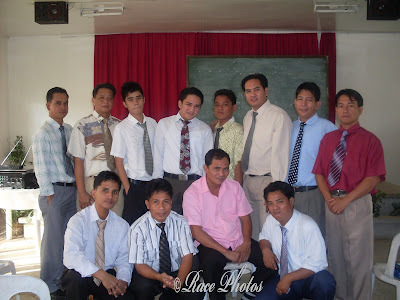 Mga good looking pa ang ministers!